Synopsis (from Amazon): Is it possible to love someone too much? One (or more) Sentence Summary: I love books about sports and couldn't wait to read about Sarah (and Boone) in this trilogy. I find it so interesting what families go through in the pro-athelete world. All the traveling, down time, the fans, the other women, etc. We are taken on Sarah's journey from the beginning all the way to end (which I loved how it ended!!). It is no wonder Sarah has so many insecurities....who could blame her. The whole Brennan family is really interesting to me. I think the "issues" that each of the siblings are going through is not uncommon in most families. All of this is surrounded with an ill mother who passes away in The Good Wife is so real to me. My only negative comment is....Jane, why stop at three. Please write about Brianna and Tommy Jr. I need this series to be more than a trilogy! Favorite Character(s): Sarah is my favorite sister. I have been waiting for her story since The Good Woman first came out. Of course, I like all of the Brennan clan, but we always have our favorite, eh? Setting: Northern California is where the book (all three) primarily takes place. The setting works for me! Fast read/slow read: Not too fast, not too slow, but just right! Cover: The cover fits the theme of the trilogy All three books have a very similar style and photo. Would I Read Other Books by the Author: Oh course - I love her books! 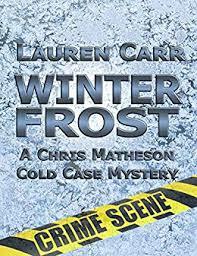 Brennan Sister Reviews: You can read my reviews on the first two books here. 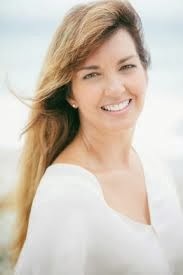 Meet the Author: Jane Porter, a native of Visalia, California, graduated from UCLA with a degree in American Studies and worked in sales and marketing before returning to school to earn a teaching credential and an MA in Writing from the University of San Francisco. Since publishing her first romance novel in 2001, Jane has written and sold 39 novels, including her latest release, The Good Woman, the first book in her Brennan Sisters trilogy. 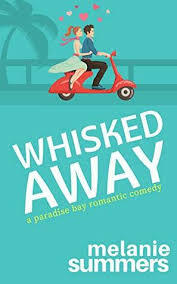 A bestselling author, Jane has also been a finalist for the prestigious RITA award in 2002, 2003, 2008 and 2010 from Romance Writers of America, and her '06 release, Flirting With Forty, picked by Redbook as its Red Hot Summer Read, went back for seven printings in six weeks before being made into a December 08 Lifetime movie starring Heather Locklear. Jane, her surfer husband, and three sons make their home today in San Clemente, CA where she's currently working on her next novel. Connect: You can connect with Jane Porter on her website, Twitter, her Blog and Facebook. 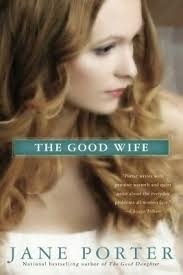 Purchase it: You can purchase The Good Wife online from Amazon for $15.00 ($7.99 Kindle version). Yours To Keep Tour and Giveaway! !